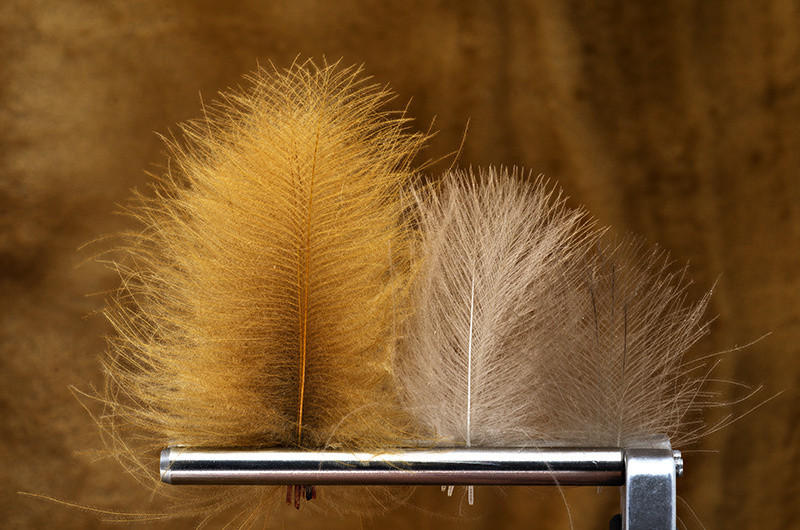 CDC feathers and how to select them is a short article dedicated to beginners in fly tying. CDC is known also under the name cull de canard and are from ducks ( but you can found them on different waterbirds like goose, swam, water-hen and so on ). These feathers are not so many around 10-25 for each bird and are located on back of bird very close to the tail zone. To be more precise, the CDC feathers are around the preen gland (uropygial gland) of the bird. The CDC has a special unique structure and they are very buoyant. 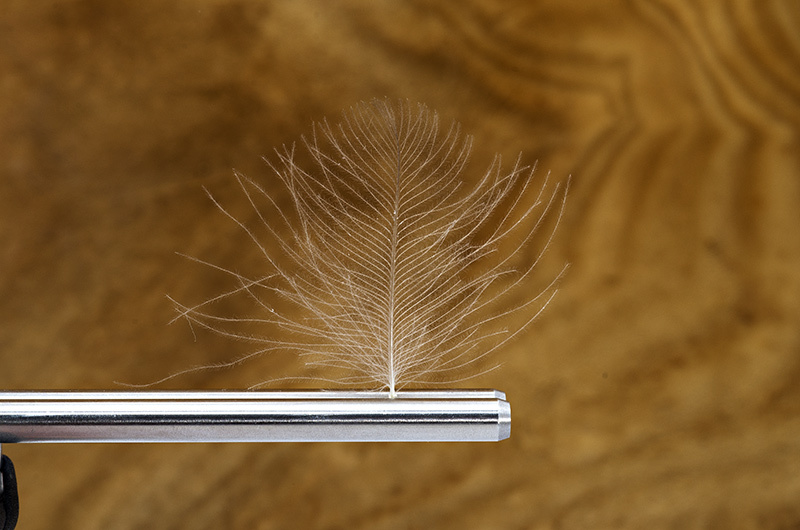 This special structure make these feathers to float and to remain elastic in the same time. Regarding this unique structure I will be more detailed in other article, now I want share the way I sort my CDC feathers. 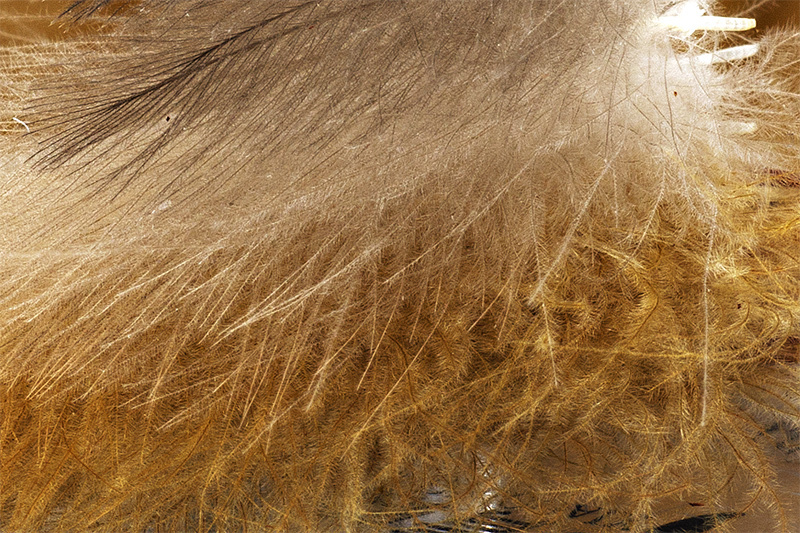 The most important difference between long, medium and short CDC feathers stays in how are the stems. Long feathers=stiffer stems. Short feathers=fine and more elastic stems. In our tying world you will find CDC from goose, swam and duck birds. The goose and swam CDC feathers are the longest but not necessary the better ones. Barbs are the most important thing when we talk about CDC feathers. 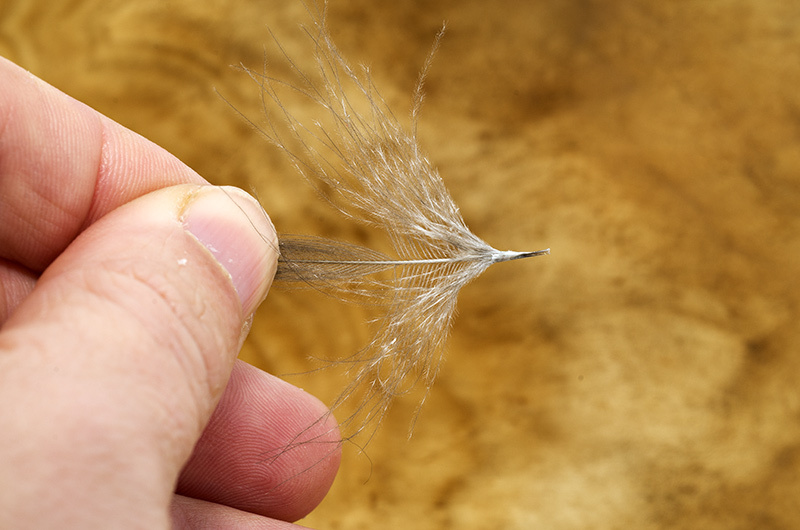 By the way , the stem of a CDC feather is thick and not so elastic compared with the stem from a rooster feather. the CDC is special due to the structure and density of the barbs. 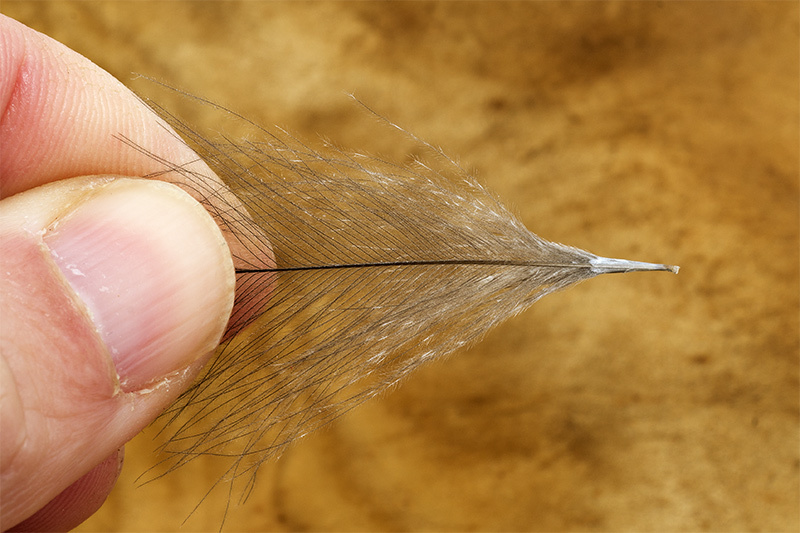 So long feathers suits for making bodies or wings for big flies or for making CDC hackle. Short and medium feathers are better winging dry flies. As you can see in the photo up, from left to right there are CDC feathers from farmed raised ducks. In the middle are the CDC Teal Duck feathers from and on the right are feathers from wild Mallard Duck. 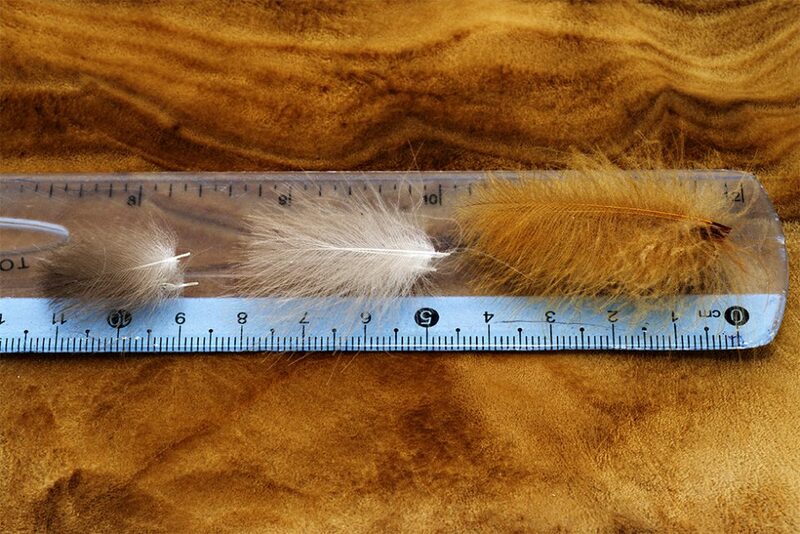 Those farmed CDC feathers I prefer to use for making hackle and wings for medium sized flies. Teal Duck CDC and Wild Mallard CDC is my favorite material for making wings for F Flies and emergers. I used Teal Duck CDC combined with Mallard Wild Duck CDC. The stems are delicate and elastic and the fish will not spit them easily . You can tie these flies using also long feathers but you have to use the tips only ( the rest will be wasted so is no reason to use big feathers ). A big mistake is to trim the feather. Do not do that! Use only the tip and that is it! A trimmed wing is stiffer, will not behave in the same way like untrimmed one. The fish will detect the rigid stem and will spit the fly with the light speed! 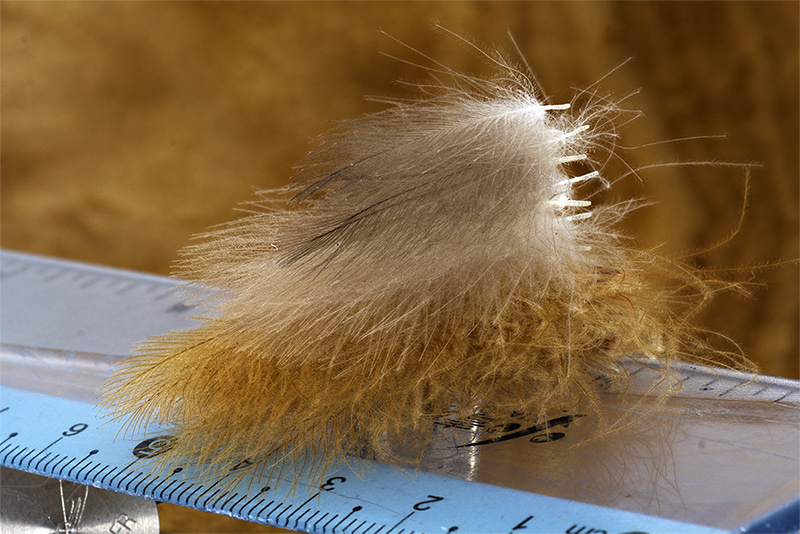 Bellow is a CDC feather from Wild Mallard Duck, as you can see, the feather looks great and uniform from base to the top. The stem is delicate and thin. So in the end remember: long feather for big flies or for hackle. 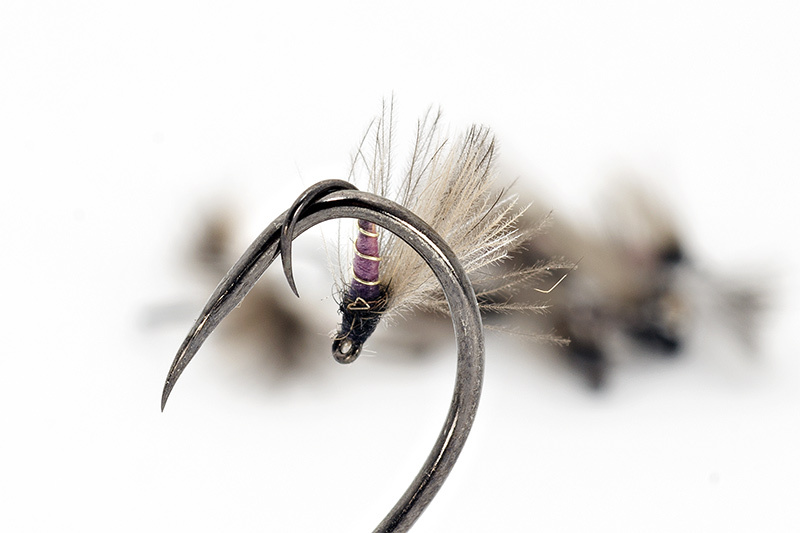 Medium CDC for palmering or making wings for medium sized flies. The smallest are the best for tying wings for F Flies and Emergers! Next post › Riddle time - guess the materials used! I’m glad that helps 🙂 I’m preparing a new one shortly.